The Dancing Daisy Sprinkler is the fun way to water your garden. The sprinkler includes a ground spike with a foot plate to enable it to be easily pushed into the ground holding it in place. To make the daisy dance, connect the hose, turn on the tap and watch the flower head swing around in a random pattern, watering the lawn, garden and plants. Adjusting the water pressure can change the pattern and distance that the water is discharged. 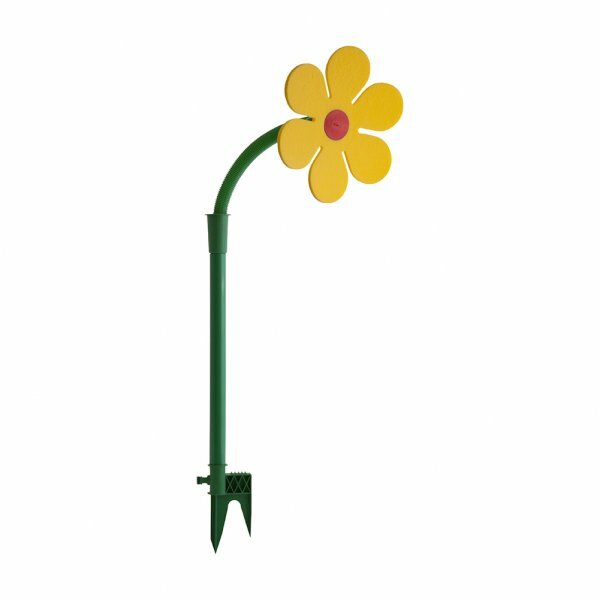 As well as being an effective sprinkler, the dancing daisy is great fun for the kids, creating hours of fun on a warm summer's day. The daisy is available with red or yellow (SOLD OUT) petals.